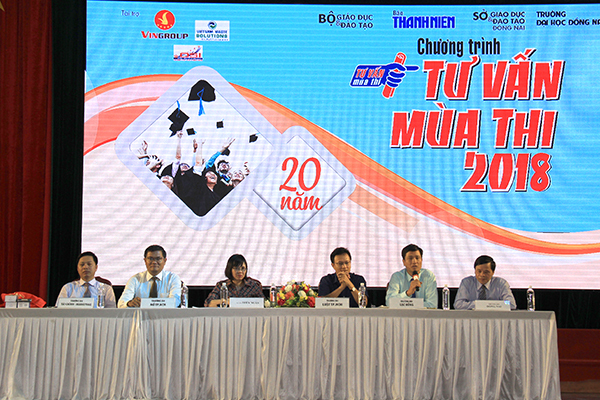 Nearly 8,000 pupils from high schools in Dong Nai province attended the advisory program for examination season 2018 organized by Thanh Nien (Youth) newspaper in cooperation with the MOET and Department of Education and Training at Dong Nai University. Advisers cleared up pupils’ questions at “examination season consultancy” festival 2018. At the festival, experts from the MOET, psychologists, admission officers of universities and colleges answered participating pupils’ questions about enrolled professions, careers, changes of national high school examination and admission to university-college 2018. 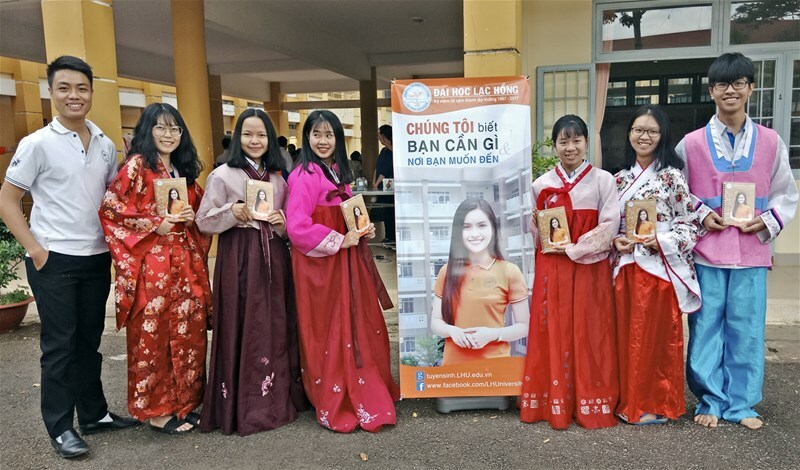 Labor market experts also introduced high school students information related to labor market development trends; the prospective careers of the labor market and especially in the South East key economic region including Dong Nai, Binh Duong, Ba Ria - Vung Tau and Ho Chi Minh City. 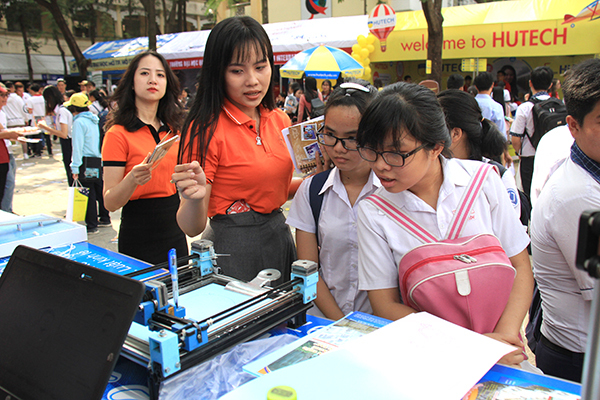 In addition to advisory activity, the festival took place exhibition stalls introducing training majors of universities-colleges in Dong Nai province and Ho Chi Minh City. Come to the festival this year, LHU designed technology spaces, robot demonstration, mini games with prizes, so that contestants could easily identify themselves to choose suitable majors. Pupils also got consultancy about enrolled professions, the standard marks, admission groups of subjects, learning conditions, tuition fees, scholarships,... of the University. High school students were excited about Oriental clothes from LHU. LHU's booth attracted many pupils to visit and find out information.